It’s no secret why most people love having pets – these awesome creatures bring happiness to the entire household. However, no one can also deny the mess they carry. The pet hair alone is already an issue, let alone the smell of their urine, footprints, and poop. When you have a pet, it’s important to be in control all the time or else, your house will be in chaos. However, not everyone has enough time to take care of it. Work, family, and other commitments may hinder pet owners from keeping their home clean. For this reason, hiring a home cleaning services is crucial. Having a pet at home is awesome and a huge responsibility; however, you should not feel guilty if you’re asking assistance in cleaning your pet’s mess. Below are some of the reasons why a pet owner should hire maid services. Keeping the home clean and organized is already a daunting task, and this can become too exhausting if you also have to worry about fur, urine, and other messes created by your lovely pet. Lucky for you, there are a lot of home cleaning services available and most of which address such concerns. Reputable cleaning companies are staffed with highly experienced and skilled cleaning experts who use healthy cleaning supplies to ensure the safety of your family and your animals. One of the common equipment they use is the vacuum which is crucial in removing pet dander, allergens, bacteria, and other small things that are barely visible to the eyes. They also utilize cleaning solutions that are eco-friendly and pet-safe. In addition, they know various cleaning techniques to ensure that your home is clean thoroughly. Cleaning experts from home cleaning services are meticulous and dedicated so you’re guaranteed that they are getting rid of the dirt and dust brought by the animal’s paws. Apart from cleaning, they also sanitize or disinfect your home, including the toilet, to ensure a safe and healthy environment. When getting a home cleaning service, you can also take advantage of the company and ask for additional services, such as scrubbing the floors, making the bed, organizing your closet, wiping kitchen cabinets and appliances, and a lot more. 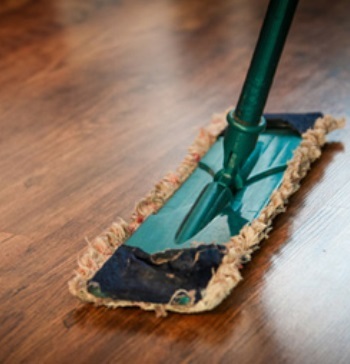 These things cannot be done easily when you have other things to do but sadly, it should not be neglected because a dirty home may lead to sickness and other risks. Contacting a cleaning company is not difficult especially with the help of the Internet. Simply search the most reliable maid services nearby and book an appointment. Now, you can take your pet to the park and play while they keep your home clean and safe. When you own a pet, it’s important to stay on top of things to avoid unlikely situations but then again, if you don’t have time, you can hire a cleaning company. Most pet owners clean their home on a weekly or bi-weekly basis. This is to ensure that pet odors, stains, as well as pet hair are controlled. After all, this does not only affect the look of your place but also, the health of the entire household. This will also make your guest feel comfortable because they are not seeing any pet hair or paw marks on your floor, couches, or even bed.